Tucson the largest city in southern Arizona and approximately 2 hours away from Phoenix. Situated in the beautiful Sonoran Desert, Tucson is surrounded by five mountain ranges, making it an excellent home for outdoor enthusiasts. If the desert sun becomes too much, Tucsonans can drive and hour north to Mount Lemmon and enjoy temperatures nearly 30 degrees cooler. Residents can shop, eat, and play in Tucson’s vibrant downtown district. The University of Arizona (UofA) is located in Tucson and hosts nearly 50,000 students. Tucson is southern Arizona’s cultural oasis and is home to many art galleries and events, such as 2nd Saturdays. 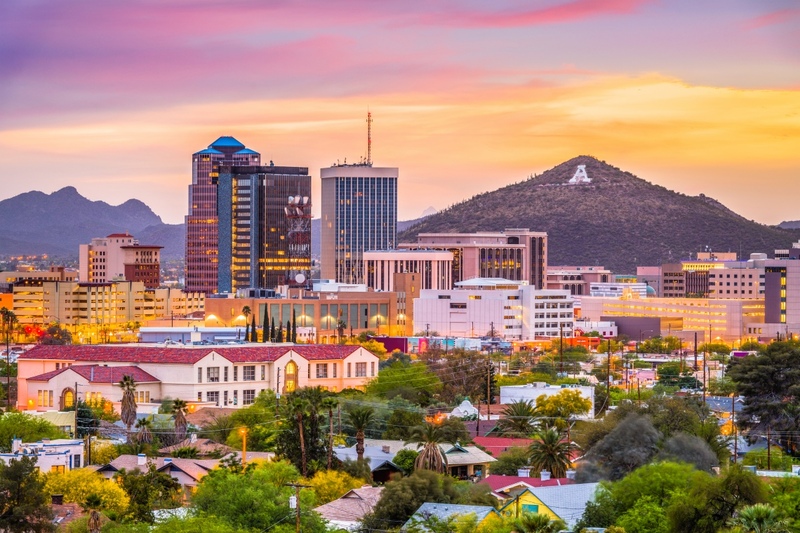 The real estate market in Tucson is very diverse with homes available to meet any budget.